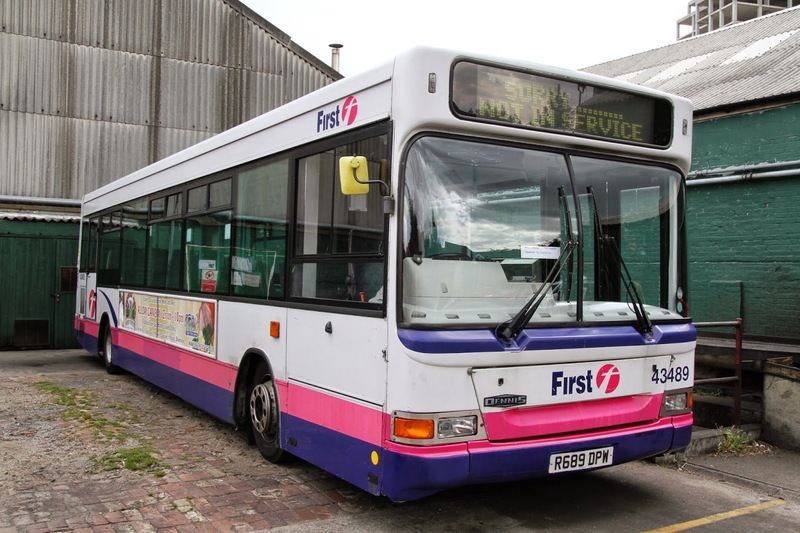 For a few years they operated in the Glasgow area and were subsequently delivered to Great Yarmouth from Rotherham after being painted in Barbie 3 livery. 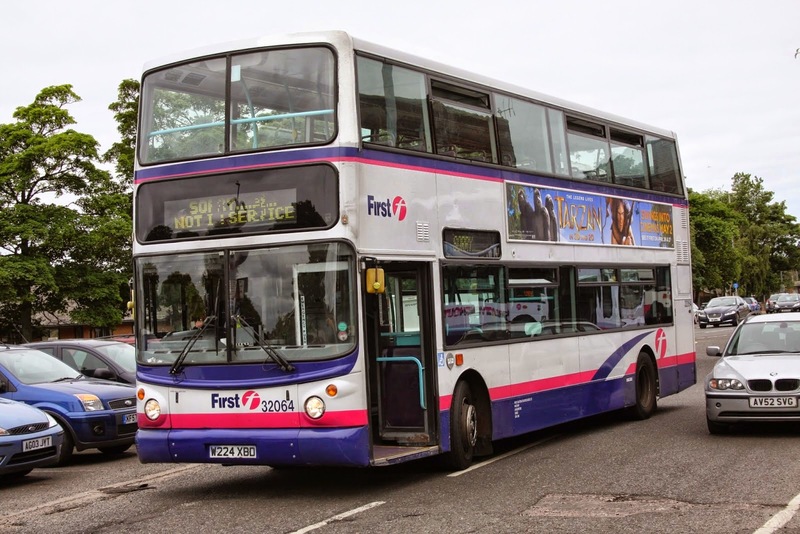 Imagine Jamie Skinner's surprise when a single decker turned up to provide the service. Not any ordinary saloon but a First Yorkshire one at that! The British love to talk about the weather and this Bank Holiday Monday was a wash out with rain in place for most, if not all, of the day! A shame as it really does stand out in its current colours - which provides me with another excuse for a photo of 33423 in its present guise! 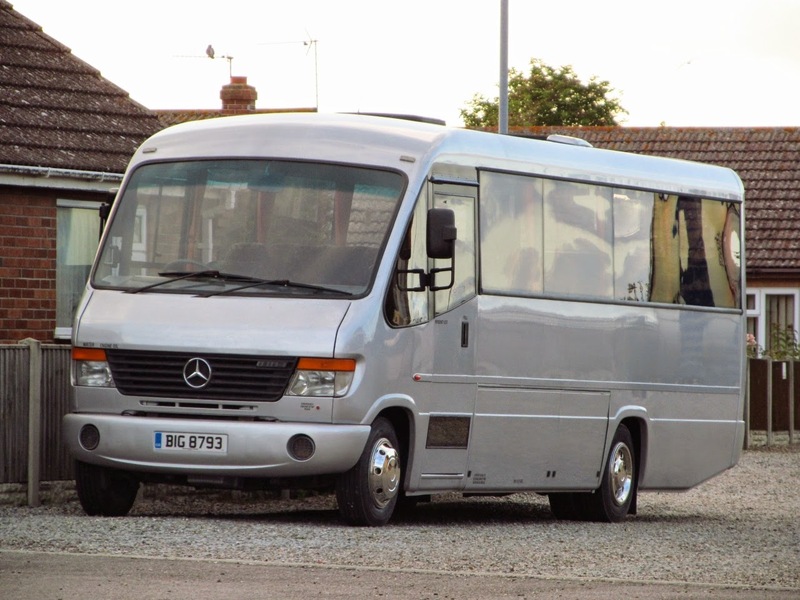 An invite from First Business Manager Chris Speed to go down to Ipswich and collect recently refurbished Volvo B7TL 32479 and attend the ETC Rally was an opportunity not to be waived, we set off around 7.30am, collected the bus and headed back north to Old Buckenham Airfield. Around 25 Vehicles in attendance with only First having vehicles on show from current local operators. 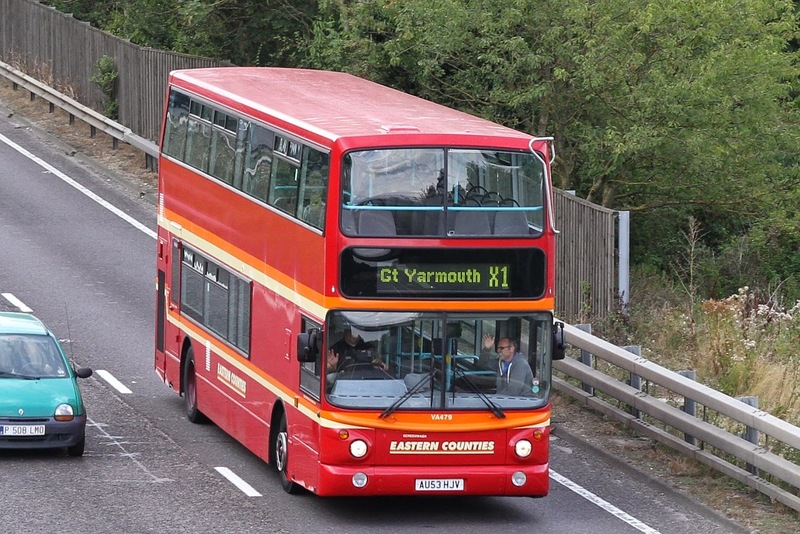 Yarmouth depot supplied Enviro 33423 and Routemaster 39623 plus 32479 of course! Plenty of familiar faces had also made the trip with most local bloggers attending making it quite a nice social event also. 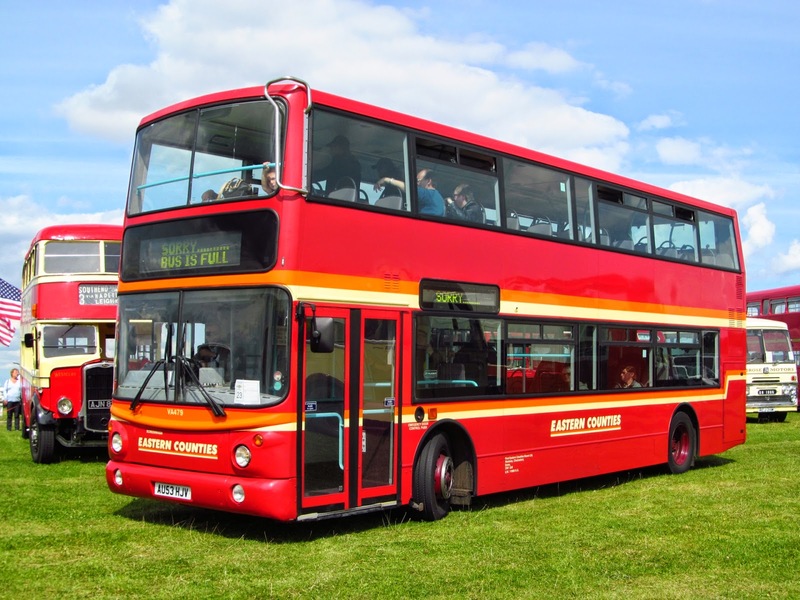 The trophy for best vehicle on the day went to Westcliff On Sea AJN825 which had made the trip from Essex. Lowestoft Corporation Leyland PBJ2F made the trip in the hands of new owners Syd Eade, Richard Algar and Daniel Peart and looked in fine condition in the August sunshine. Eastern Counties were well represented with various types of preserved vehicles mixing with members of the current fleet including Bristol VR GNG710N which wears 1977 Silver Jubilee livery and open topper OCK995K which is currently in use with Carlton Colville Transport Museum. 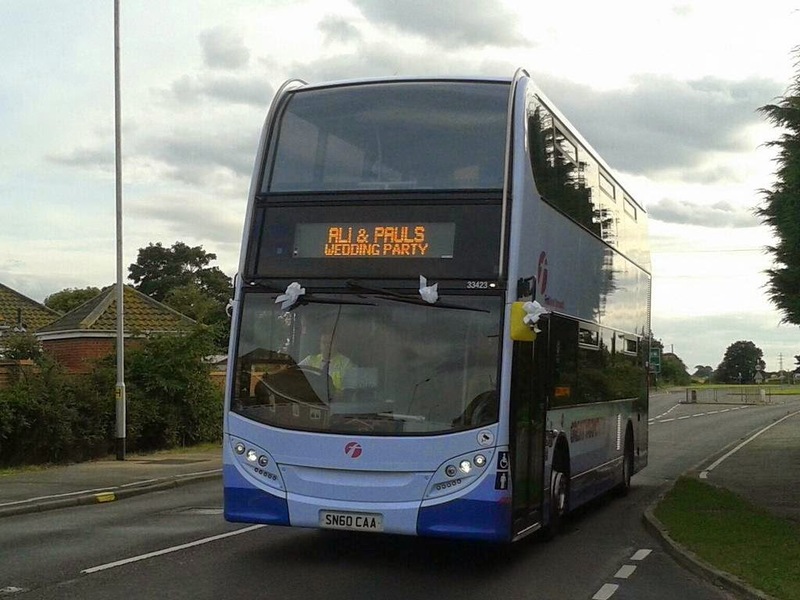 Jim Long caught us on the A14 showing a special destination! Overall a very enjoyable day catching up with old friends and meeting a few new faces, even bumping into a friend who had actually flown his own plane into the airfield from London! Plenty of photos were taken and will be up on my Flickr site in the next few days. Finally, Thanks to Chris Speed for arranging the use of 32479 and to all the members of the ETC for a great day. 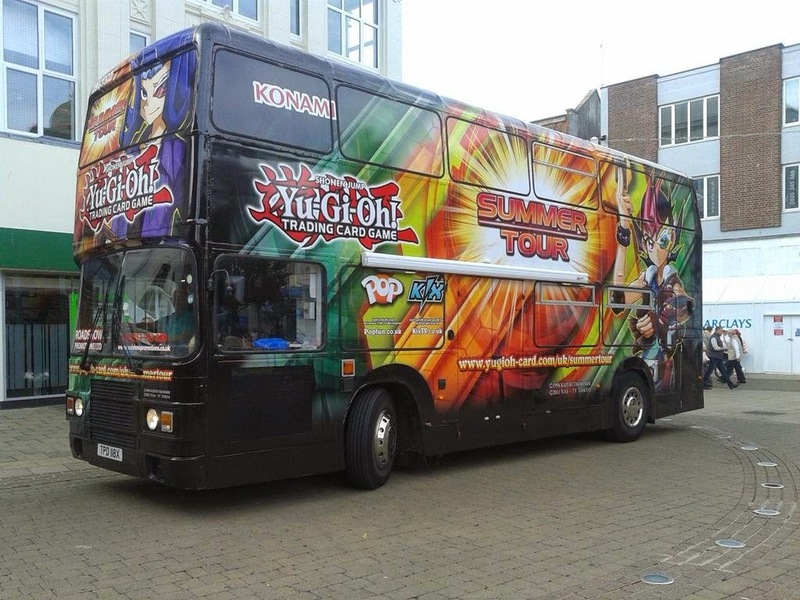 Next Stop Duxford and Showbus!! Reynolds of Caister have welcomed no less than four new arrivals. 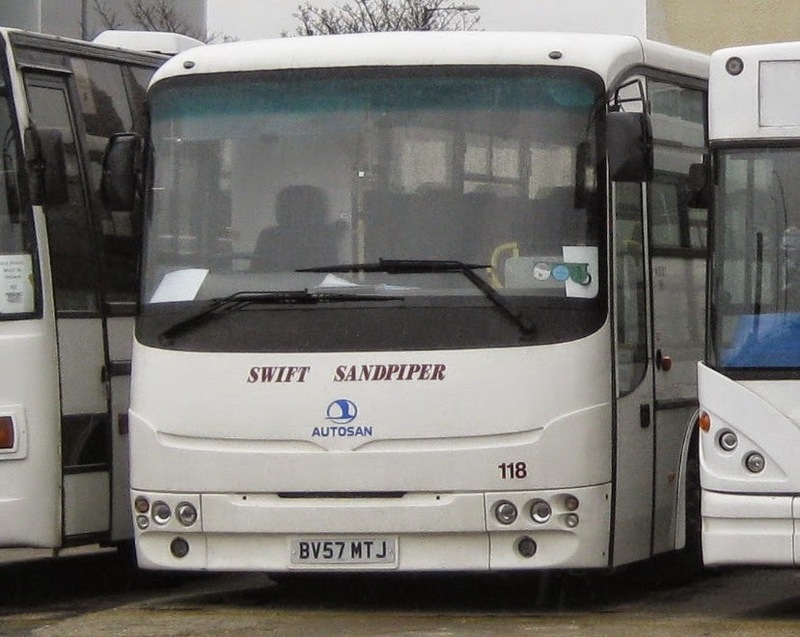 Two Plaxton Profile bodied coaches have arrived in the shape of AW53GAU/GAX. AW53GAU has been named Lady Jodie and as you can see from the photo looks very smart in her Silver livery. Also Two Mercedes Benz, Plaxton Cheetah minicoaches have been aquired, EG52HBB is in full livery and named Lady Violeta whilst BIG8793 is awaiting her lettering to be added. Unfortunately details of their previous owners are unavailable. 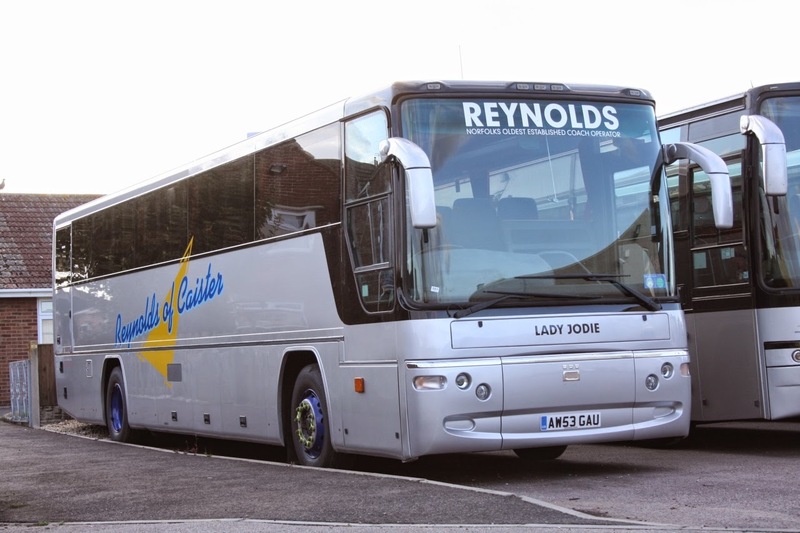 Some of Reynolds fleet are still up for sale on the companies website. A very impressive Fleet at Caister now it has to be said. 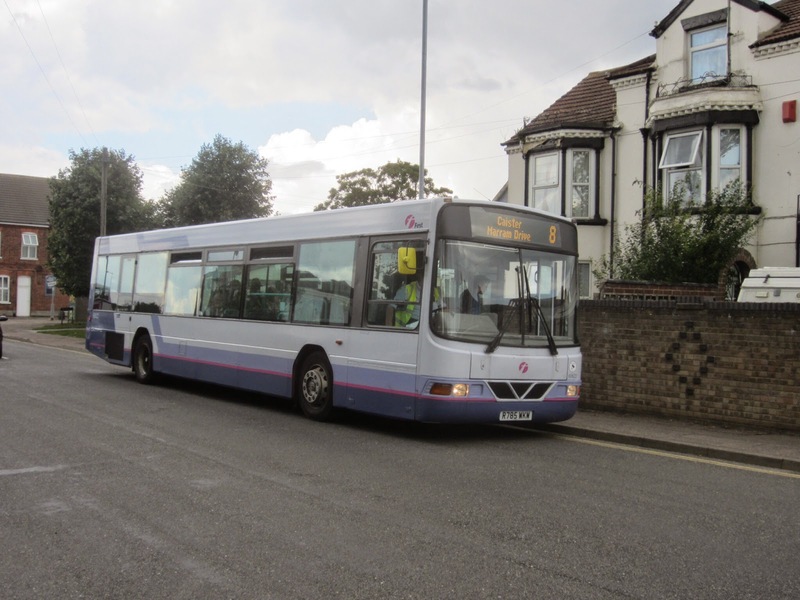 Firstly, Autosan 67 seater BV57MTJ is now listed for sale on the Route One trader website, which brings the operator's overall coach fleet size down to four. Swift's sole remaining contract is that serving Broadland High School in Wroxham. 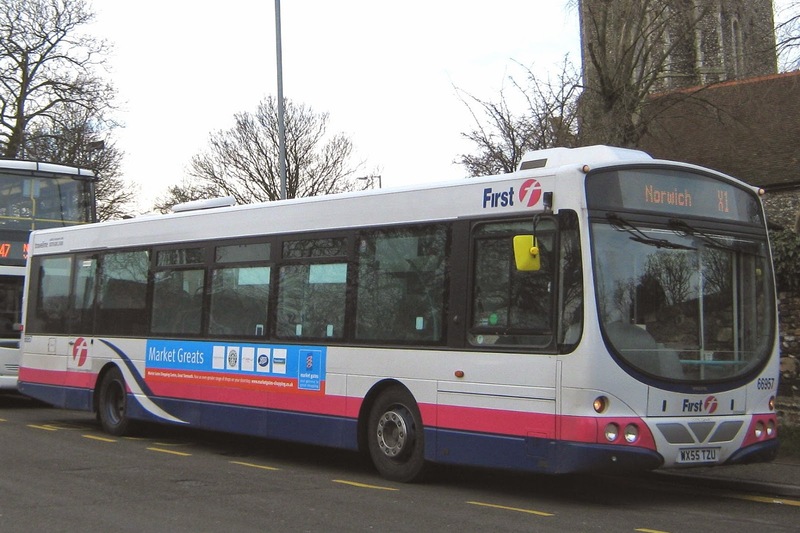 Meanwhile Lowestoft's Dennis Dart 43481 R681DPW was observed on the service 7 15:50 Market Gates to Belton on Crab Lane. With business to attend to in both Gorleston and Great Yarmouth this afternoon, I managed to keep dry by dodging the showers to successfully complete my errands! 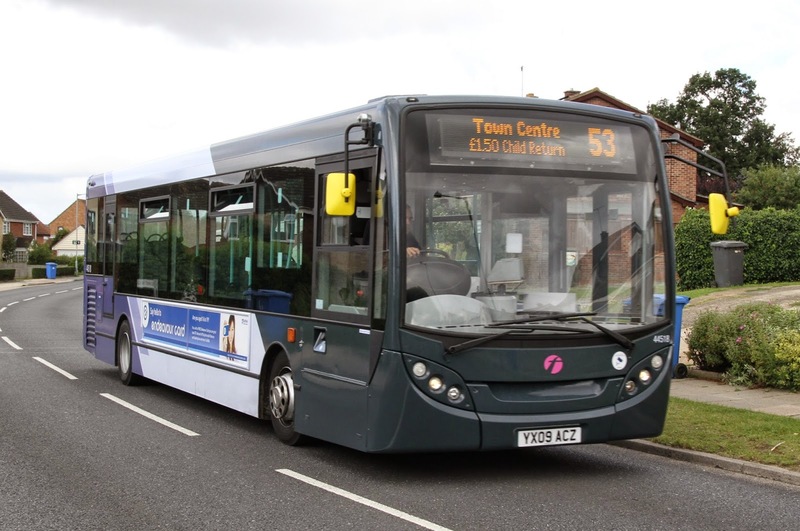 53 Hoveton - Wroxham - Dussindale - Norwich - Tuckswood service is to be transferred to sister company konectbus. Revised timetable with simplified departure times from Lowesoft with school variations on some journeys removed. 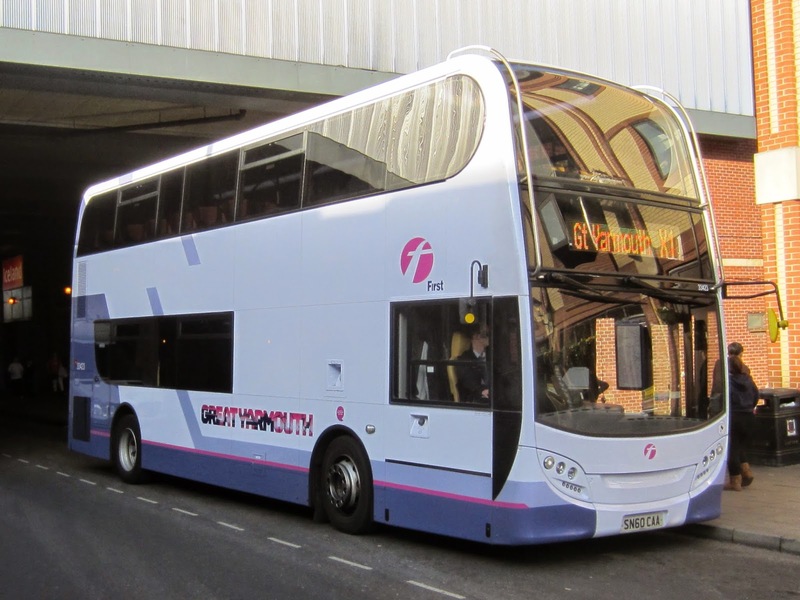 On Monday to Friday the 1017 and 1307 arrivals at James Paget Hospital (0905 and 1205 from Beccles) will continue to Great Yarmouth as service 63 - providing a through link. 63 Cobholm - Great Yarmouth - Hemsby is extended past Cobholm to James Paget Hospitalwith a revised timetable to improve punctuality. Whilst I had seen many Megabus workings in the past this was my first opportunity to get a photo of one! 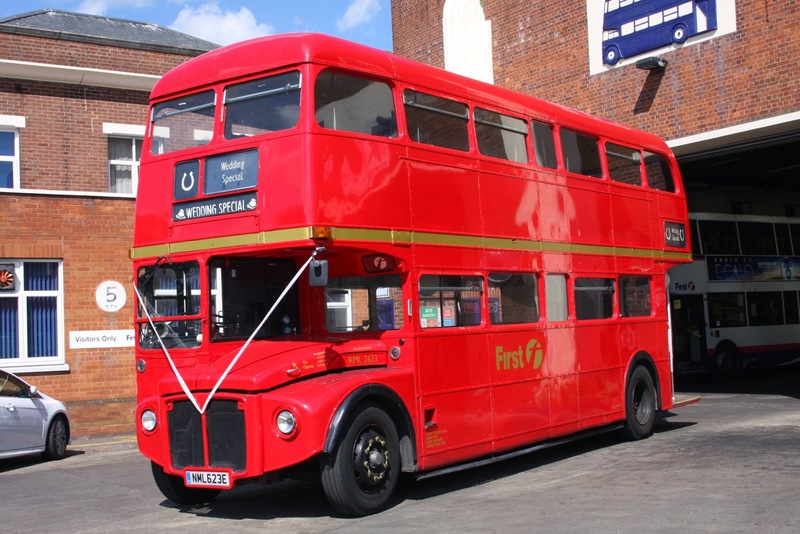 Saturday afternoon saw First Routemaster NML623E employed on a Wedding Hire. 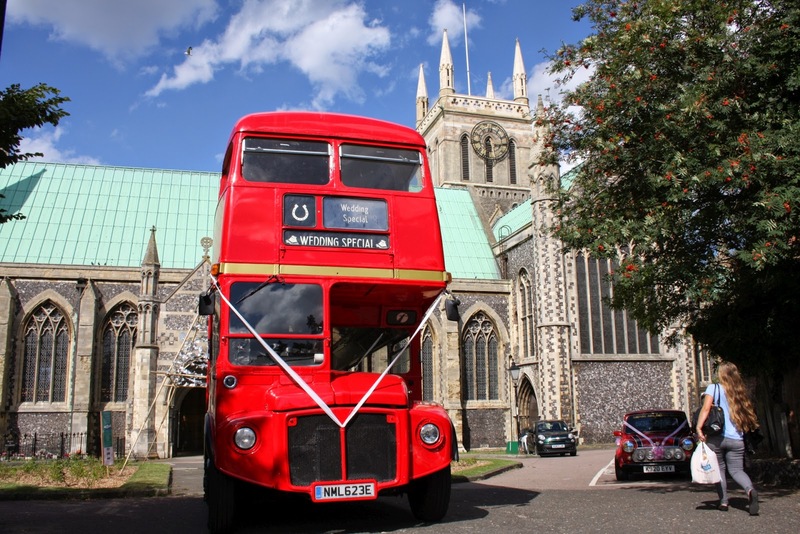 The Bus was driven by Yarmouth Depot manager Danny Beales with a little assistance from yours truly when it came to parking the bus inside the grounds of St Nicholas Church! 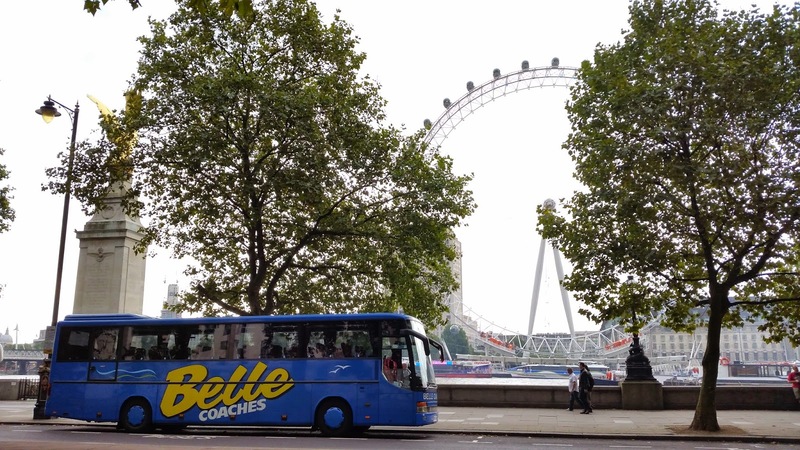 The bus transported members of the wedding party to the reception along the seafront and it has to be said that holidaymakers certainly noticed the ex London icon as she passed by. Another ex Great Yarmouth vehicle has gained the new Ipswich colours in the shape of 66950 WX55TZM. Jim Long has kindly sent me photos of her in action on her return from repaint at Rotherham. 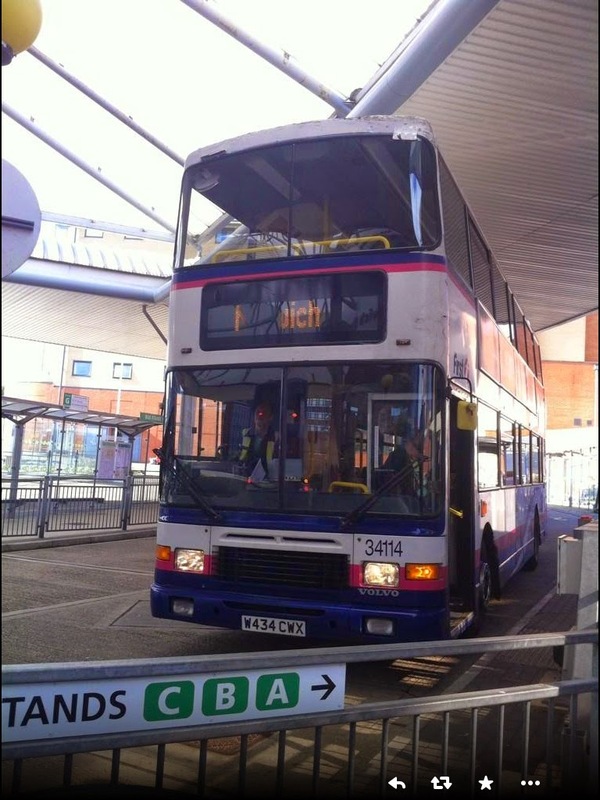 That morning we came across two Bristol K5G open toppers from Brighton Hove still in their livery. CAP229 was the one we were able to photograph, sorry about the size as it's on one of those 1.5 inch x 1.5 inch negatives that you had a job to get a postcard size with! 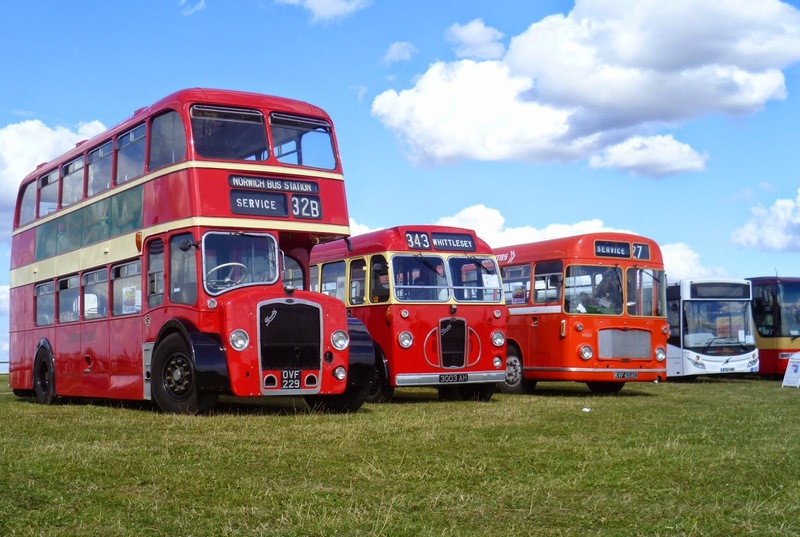 After sorting through, labelling and cropping more than sixty photos I am pleased to bring you a report of the Worthing Bus Rally, at long last! The Littlehampton (the town is known locally as LA!) based operator sent along two former London Transport Leyland Nationals KJD530P and BYW382V which still retain their SP fleet numbers! 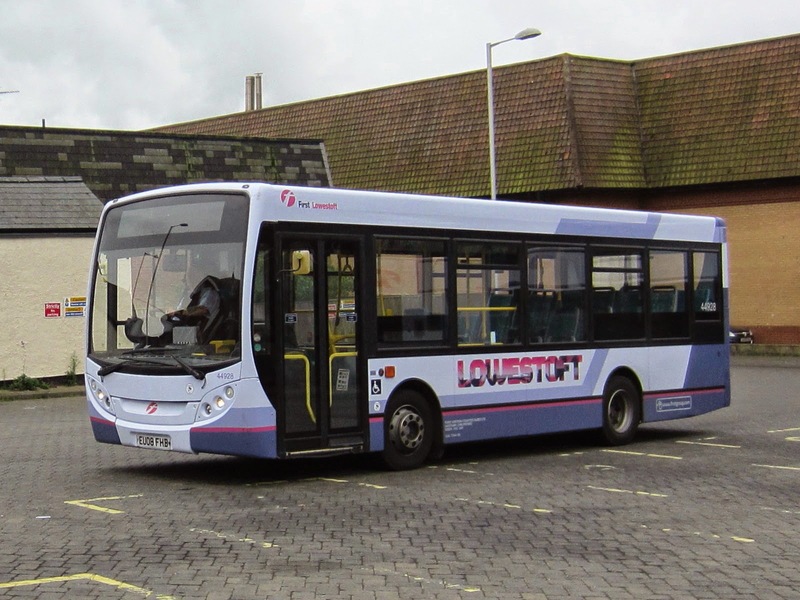 First Eastern Counties has announced a number of changes to Lowestoft services from Sunday, August 31. Most journeys are retimed 5 minutes later throughout so that X1 and X2 can share the same stand in Norwich with 10 minutes between most departures. Additional journey from Beccles to Lowestoft at 0745 to increase presence and replace 0727 X22 (runs similar times from Worlingham to Lowestoft). This becomes the current 0810 Pakefield to Lowestoft. Saturday PM peak mirrors Monday to Friday from Norwich (every 20 minutes to 1755) to cater for football traffic and shoppers. School holiday timetable is to operate all year round. 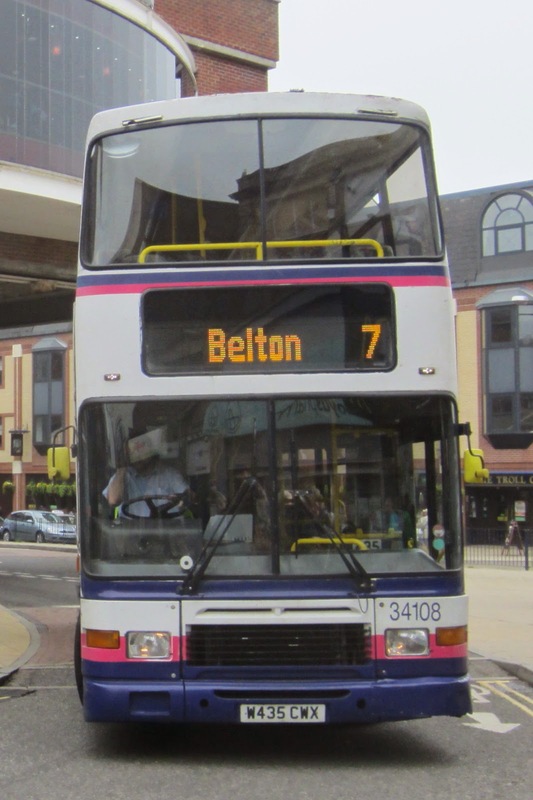 The X22 is renumbered to 111. Saturday timetable is amended to mirror Monday to Friday at 15/45 ex Lowestoft until 1415 then hourly from 1500. 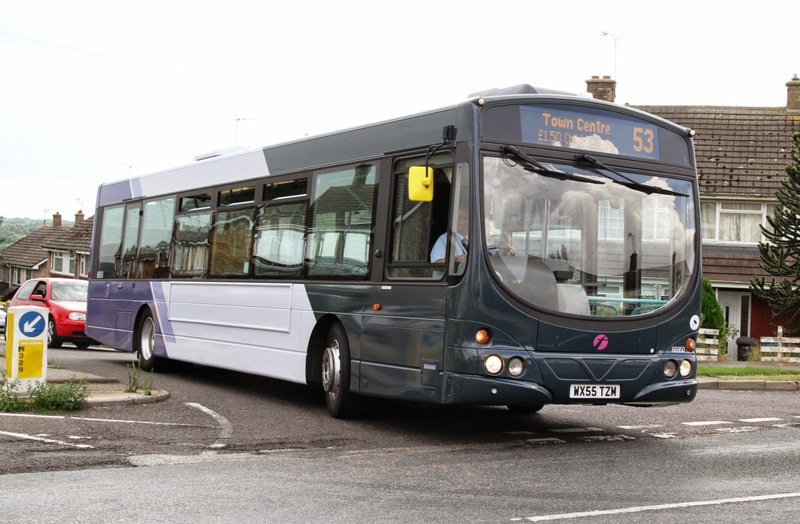 This gives 3 buses per hour to Carlton Colville in the mornings. Minor changes only to late pm journeys. The service has been retimed by 5 minutes to fit in with bus workings and coordinate with X2 departures where possible. The 101 will see the frequency reduced to every 20 minutes. The 103 will run between 0900-1700 only to provide an hourly service from Carlton Colville via Pakefield. 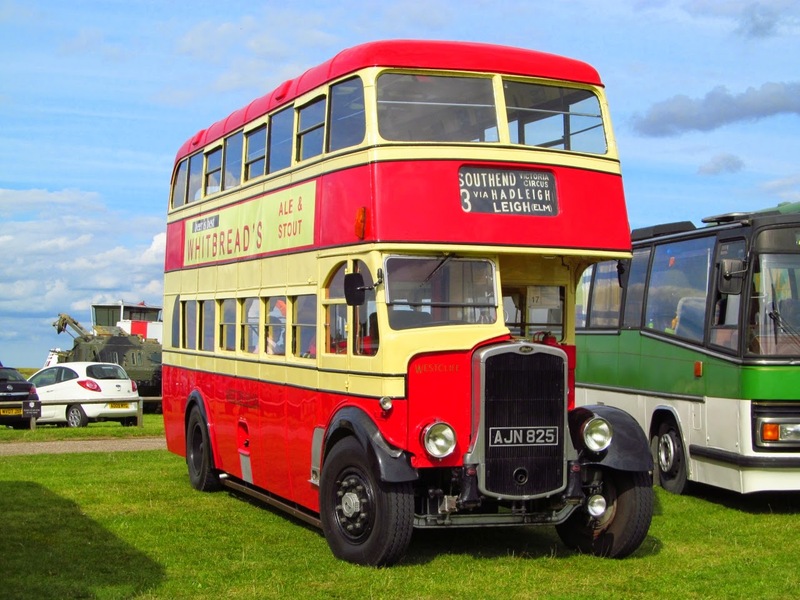 To mark the Celebrate Ipswich Festival, a First Eastern Counties’ AEC Routemaster will run on the 77 service from Ipswich to Felixstowe on Sunday, August 17. 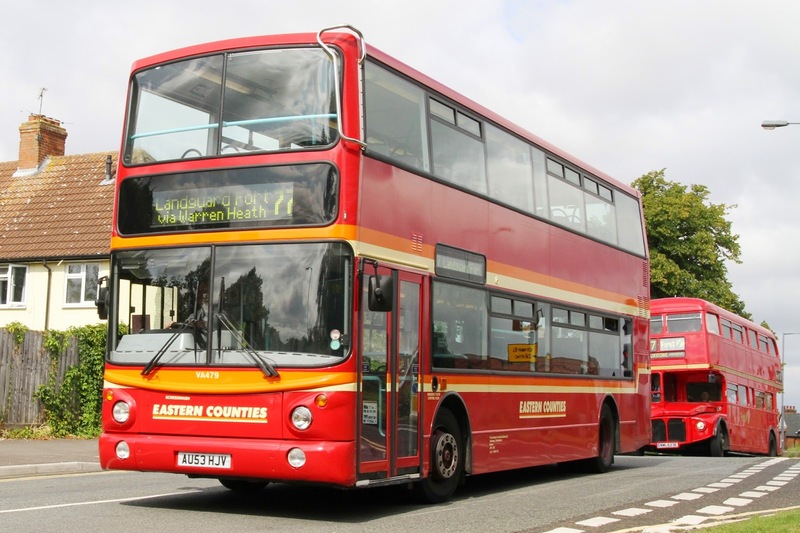 Chris Speed, Business Manager for First Eastern Counties, said: “We are thrilled that the Routemaster will be running on service to mark the Celebrate Ipswich Festival. 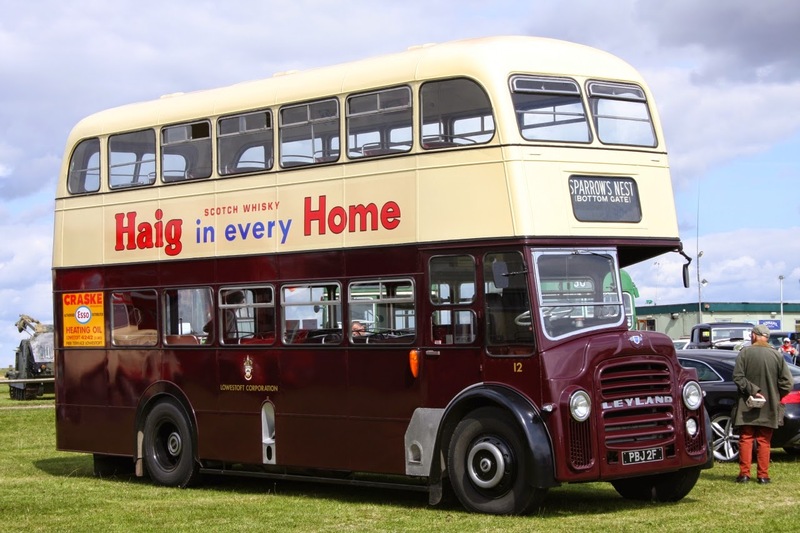 We chose the 77 service as it is one of our oldest, most established routes and it seemed fitting for our heritage vehicle.